Published on December 30, 2014 in Allenatori, Calcio, Giovani and Young and Football. 0 Comments Tags: allenatori, Calcio, football, pulcini, Scuola, soccer. The young players called in Italian football pulcini are the second category of the football school in order of age and include children aged 8 to 10 years. Very often coaches are extremely satisfacted of them, emphasizing the interest and enthusiasm that at this age children showt on the pitch. The satisfaction of the coaches is explained by the evolutionary moment that children of this age live. They live a break in their evolutionary process, they become masters of their body and their mental faculties, becoming aware of themselves, helped by a better definition of the body schema and also by a better level of sociability. All these features put your child away from the continuous self-discovery typical of the previous stage and still far from the confused adolescent storm. It is this that makes it possible to define the young players of this age as more coachable of the football school. This definition, however, does not delete the difficulties that can be encountered in the group management. Beyond the technical and tactical dimensions is important, as always, to know the psychological dynamics belonging to this age group and also the most effective communication style to be used with these young players. Here are some ideas about what to do when we are working with them. Knowing how to handle the young players means, not only to develop their technical and tactical skills, but also to support their enthusiasm and curiosity. Published on December 6, 2014 in Calcio. 0 Comments Tags: Calcio, Pirlo, Totti. Andrea Pirlo e Francesco le last legends of the Italian soccer. Published on November 25, 2014 in Calcio, Generale, Giovani and Young and Football. 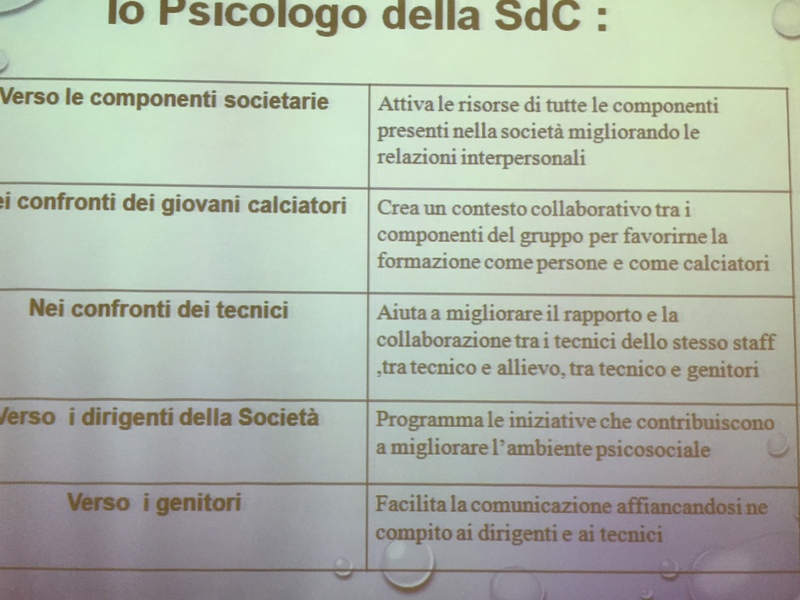 0 Comments Tags: Calcio, competenze, psicologo, Scuola. Published on November 16, 2014 in Allenatori, Calcio and Giovani. 0 Comments Tags: Calcio, Deò Piero, Federico Buffa, mente. 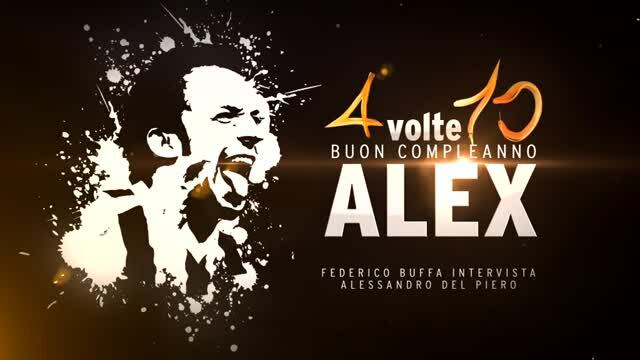 Alessandro Del Piero was interviewed by Federico Buffa for his 40 years. He was asked what he thinks in the decisive moments and this is the answer: I trained a lot … Yes in that often I do not remember. When you’re more mentally free you can express yourself freely. How do you want to be remembered: As a child he wanted to prove that the smallest could become the greatest and this is true even now. Published on November 4, 2014 in Allenatori, Calcio, Giovani and Young and Football. 0 Comments Tags: allenatori, bravo, Calcio, compete, genitori, giovani, scuole. Today too often we speak of attorneys for children under 10 years, selection and research in the soccer schools of the perfect … but we are not talk about premiere league. I speak instead of children soccer where is frequent the subdivision into Team A and Team B . What does it mean? The answer, unfortunately, is universally recognized: the best and the not so good. The adjective good is already generic and superficial, and if it’s aimed at children aged 6 to 10 years who are at their first steps into the world of football becomes meaningless. I realized over time that the adjective good for coaches include: the better children “at the moment”: faster, without behavioral problems, easy to manage, and preferably with some attitudes of adult soccer (fall on fouls, cheer pulling up her shirt, and so on). These characteristics lead to the breakdown of the teams? And what is left out of this argument? It stays out of the consideration the learning among peer, it stay out any concept related to the inclusion, it remains out any thought related to the development and change, it lacks any future prospect for the benefit of “all and now”. That “all and now” is the victory. Once again, the adult world breaks down barriers in the world of children taking ownership of their language and convincing the small players that they are not good. In this case the error of the coaches is to fall shattered their personal expectations and their management difficulties on the small players, depriving them of the chance to live this opportunity. The use of the adjective “good” points out the lack of competence of those who use this language by choosing the easy way as a coach and the little benefit for each child. Unfortunately in youth soccer lacks a long-term project and the clubs do not accept the difficulties of today for the benefit of tomorrow. It is often ignored the importance of learning among peers and also the chidren advantages to have heterogeneous groups, in favor of the construction of homogeneous groups based on the skills possessed at the time. The choice of the homogeneity hides a selfish choice and deprives children of enrichment resulting from their differences. “What children can do together today, tomorrow will do by yourself “(Vygotsky). Published on November 2, 2014 in Allenatori, Calcio and Generale. 0 Comments Tags: Calcio, garantiti, presunzione, Serie A, soldi. are not part of the current culture of the teams with some rare exceptions. The question is why atsuccessful professional football players is not taught to start the match with the determination and concentration required to play a match. The coaches think their team will play in a certain way, then this is not the case. Maybe compared to the big Italian coaches of the past than at present they have become so presumptuous as to convince themselves that their presence is enough to inspire courage? Maybe because they earn too much and are too guaranteed from the economic point of view, then, based on this condition they believe not be criticized for this reason they do not use collaborators who might represent the critical consciousness that is missing in them. On the contrary, the experiences of high-level leadership in the business teach just that, alongside the great leaders there is always another expert that confront openly and verifies that their ideas are implemented. Perhaps the coaches could learn to use collaborators able to know if their players are willing to play till the end, or are willing to give up an inch at a time. Why this is the difference between winning and being dominated. Published on October 23, 2014 in Calcio, Generale, Giovani and Young and Football. 0 Comments Tags: amputati, Calcio, csi, francesco messori. He loves soccer, he is 15 years old and only one leg, because he is born without. But Francesco Messori has not gave up. And on Tuesday in Guastalla, in the province of Reggio Emilia, Italy, hehas realized his dream: he played his first game in a tournament under 14, like his teammates, the Virtus Correggio, with whom he had always shared training, but he never was able to get into the pitch for a match … First case in Italy. He, on crutches, the other without. It’s the story of a dream: to have team of players with crutches, actually existing abroad. Therefore he created the Facebook group “Amputee Soccer Italy.” In 2012 the first tournament, “A kick at my way”: six teams, six boys with crutches or prostheses play the integrated soccer, one for each team. Then other tournaments, finally a national team playing in the World AmputeeFootball Federation, now ready to depart for the World Cup in Mexico. Meanwhile, the CSI embracing the project, and the president Massimo Achini said: “These are the rules that must be changed in favor of life and not viceversa.” And Francesco comes into play in a tournament. The match? It’s finished 4-3, the team of Francesco lost. But he won in life. Published on October 15, 2014 in Calcio. 0 Comments Tags: arbitro, Calcio, fallo, Leandro Damião, simulazione. The Brazilian striker Leandro Damião has taken simulation to a whole new level by appearing to pull his own shirt in Criciuma’s 3-0 win over Santos in an attempt to deceive the referee. The 25-year-old Santos forward, linked with a move to Tottenham in recent years, attempted the shameful act at a free-kick for his side during their Brazilian Serie A defeat but fortunately the referee was not duped. Published on October 14, 2014 in Calcio, Generale and Giovani. 0 Comments Tags: Calcio, genitori, madri, maschi. We know that in Italy football is played mainly by males, so it’s obviously more frequent that I find to talk with mothers of sons. These moms are often accused to have too intense relations with them that seem to be the cause of any problem. “You should leave him more free” is the phrase more often repeated to the mothers, this is like for a mother to hear: “You love him too much.” Mothers love too much? Today how to be as a mother to grow the best son to cope with the future? To think at the mothers as the cause of every problem is an hasty and superficial point of view that judges without to support. The mothers need help and not just a critical assessment. This is why I decided to talk to the many mothers of the players to give practical support and not judgments. Raising a son means to discuss about the study, dose the playstation, cry to replace room or be to say “this house is not a hotel,” but raising a male child also means supporting every day with the difficult task of being able to find the right response at the right time, without sounding hasty or worse petulant. Sometimes even the most loving parent can be inconvenient because only the experience over time will help you to understand how he is a male child. The words chosen to educate mark the road as a mother you have decided to take. You cannot provide the precise vocabulary to say what is best with a male child, but it is certainly important to know that a male is more sensitive to the phrases insisting on what he did, rather than what he is. Tell that he is good, lovely or wonderful makes him happy but if you talk about the one thing he has done, an event that proved to be up he will understand even more your speech. Inevitably, they are more likely to understand the claims about what they did rather than on what they are. A boy is a powder keg of emotions ready to explode and blow it up it can often be even one tiny spark. Lock the explosion is not easy and it is certainly good to know that there arenot the long speeches to extinguish the fuse, but, even more than with a daughter, you have to be careful not to criticize the behavior automatically. The males are sensitive to criticism, but also to the support that it’s provided. The boys are more aggressive both in behaviors and the emotions, for this reason it’s often the mom critics a are perceived as an aggression instead as positive advices. A boy waits for his mother understands his feelings and he will express them more often with behaviors rather than words. A guy accept more often the demands of the mother if she will avoid too global speeches, and showing practically what to do and how to act in the face of the situations. Male expresses them more physically than verbally. For this reason, very often the disciplinary problems and the lack of attention depend on just the limited physical activity, which it does not allow to spend an adequate level of energy . This explains why the decision to ban the sport to remedy the school shortcomings does not make the situation better, creating a vicious cycle in which the punishment feeds the behavior punished.